Lame Olebile is a Pan-Africanist, queer feminist passionate about social justice. Her experience is in human rights with a strong background in LGBTQI issues and a wealth of experience in the LGBTQI movement. Formerly a human rights projects officer with the Ngamiland Council of NGOs, she led a human rights education project on LGBT, disability and children's rights in the district. As the coordinator of Pan-Africa ILGA, she worked closely with LGBTQI organizations in Sub-Saharan Africa. As part of her role as coordinator of the Lesbians, Gays and Bisexuals of Botswana, LEGABIBO, she initiated a strategic litigation project where LEGABIBO challenged the government of Botswana’s refusal to formally recognise the association. Olebile also worked at the Durban Lesbian and Gay Community and Health Centre as the research and mainstreaming officer where she worked on lesbian women’s sexual health issues. Prior to that she was an advocacy officer and researcher with the LEGABIBO and conducted advocacy projects locally, internationally and at the United Nations for the same organisation. 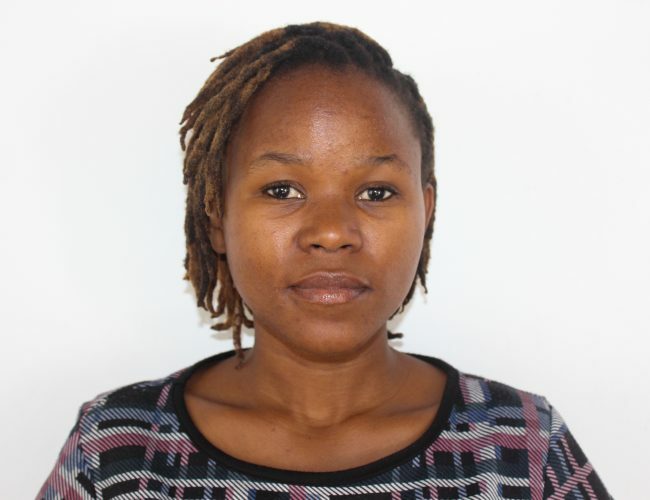 Olebile completed her studies in Political Science and Administration and is currently pursuing a Master of Philosophy degree in Natural Resources Management. Her main interests in social justice are issues of sexuality and gender. Olebile is also an adviser for the FRIDA, Young Feminist Fund.